There’s no better time to be a beer drinker in New Jersey than right now. Kane and Carton have recently started limited canning and bottling their beers, while newer breweries are popping up throughout the state. 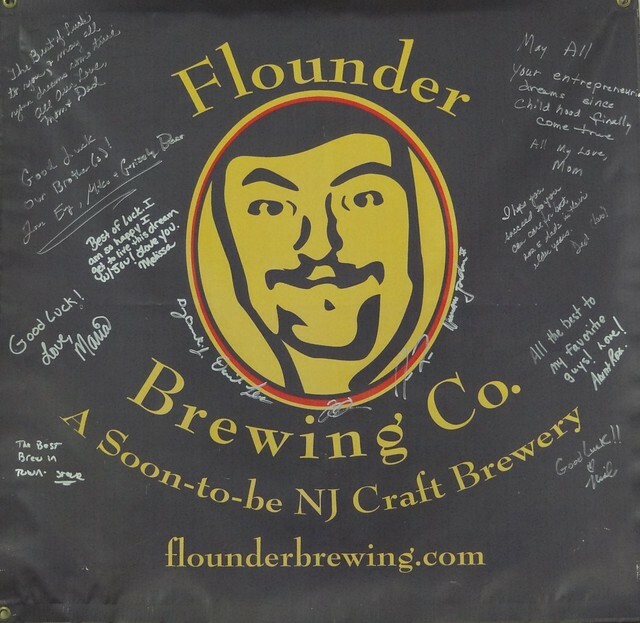 One of the newest breweries to open its doors is Flounder Brewing in Hillsborough, founded by Jeremy Lees and his brothers Dan and Mike. 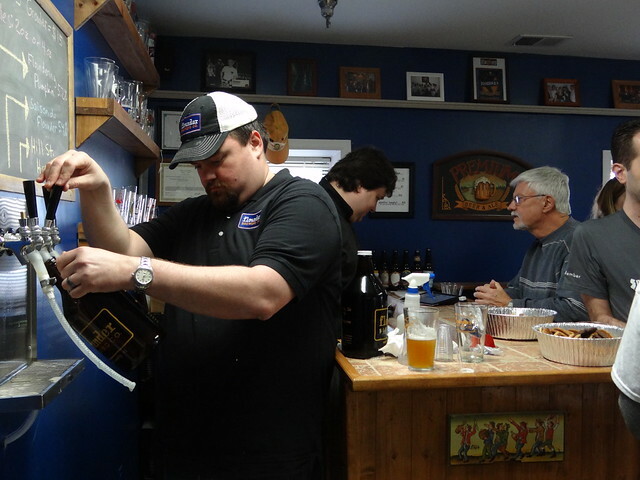 Beers on tap for Flounder’s first tour included Saison, Pumpkin, and Honey. 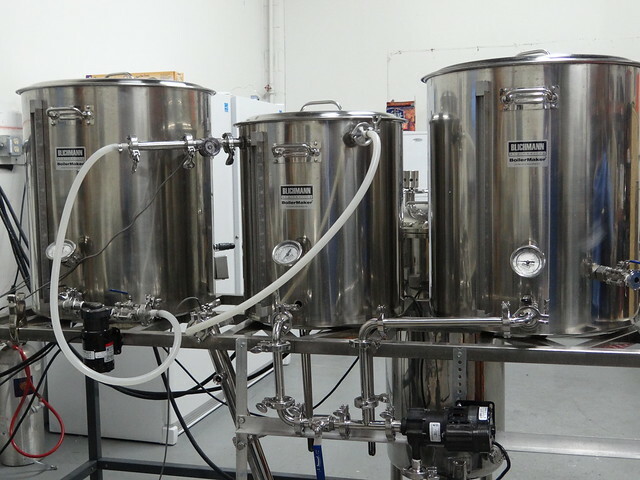 It all started with a home brewing kit Jeremy got 10 years ago. He soon had the brewing bug, and asked his brothers to join him. They began to meet for weekly brewing sessions and received overwhelmingly positive feedback from people who tried their beers. They began to wonder if it would be possible to get paid doing something that they loved and their wheels started turning about opening a nanobrewery. The designation of a nanobrewery means that the brewery produces only a few barrels at a time. The brothers spent years figuring out a business plan, and finally signed a lease in 2011. Opening their doors was an uphill battle, but this past November, Flounder Brewing was finally able to offer its first tour.